Seafarers often complain about the problems of noise onboard ships, especially in terms of sleep disturbance, while the detrimental effects of noise pollution on marine life cannot be overstated. New research raises hopes that a fresh wave of regulatory requirements could be on the horizon. What is Travel Risk Management? You wouldn't leave port without referring to the charts and checking the forecasts, so why leave other potential risks unmapped? In an unsettled world where yachts are venturing further afield, Travel Risk Management is fast becoming an integral part of a yacht’s approach to safety - so what are the benefits and what's involved? Since its foundation in 2012, Asociación Ondine has grown steadily and in the last few years its work has expanded apace, reflecting the pressing global need to protect, restore and regenerate nature and wildlife. As of today, it has changed its name to the Save The Med Foundation to reflect the scope of its scientific work, outreach programmes and future aspirations. The first two major events of the yachting season, The MYBA Charter Show and The Superyacht Show, take place in OneOcean Port Vell in Barcelona in just a few weeks time. 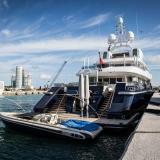 Jointly they will attract over 2,000 industry professionals and exhibitors and a spectacular display of superyachts available for charter or sale. 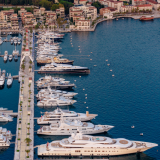 A few weeks after announcing its expansion into Monaco, Antibes and Ischia, Acquera Yachting reveals it will be opening an office in Porto Montenegro. Considered one of the most luxurious marinas in the Mediterranean, Acquera Yachting will now be able to assist yachts in the Adriatic en route to the Greek Islands, as well as those heading north to Venice and Trieste. e3 Systems® is a leading communications integrator and solutions provider for the marine industry, having offices in the Mediterranean and the USA with partners worldwide. Shipyard Supply Co. provides high quality, no compromise deck equipment and products, designed and manufactured in the UK. As well as our own range of deck products, Shipyard Supply Co. sources, supplies and distributes many of the best known brands. 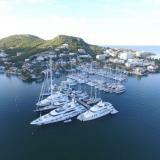 The complete marine refit center in the Southern Caribbean! Recommended by captains for the high quality of its services, Carenantilles shipyard at Le Marin is set to become the largest complete marine refit centre in the Southern Caribbean. Total Superyacht is the industry’s most comprehensive vessel management software complete with a modern interface and a Checklist App. Luxe App is an SOP System complete with an expert knowledge center. Securewest understands the requirements of the yachting sector, including security assessments, ISPS compliance, crew training needs and transit security services. We also provide tracking services 24/7 through our Maritime Assistance Centre. Bespoke Yacht Charter offer the ultimate crewed luxury yacht charters on the French Riviera, throughout the Mediterranean and in all worldwide yachting destinations. They also specialise in corporate charters on the Côte d'Azur. 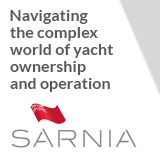 Sarnia Yachts provides a complete range of services surrounding the acquisition, ownership and operation of luxury yachts. With ever-changing regulations, being up to date is essential to protect the yacht and its owner. Wherever you are in the world and whatever your nationality, fiscal residence and vessel’s flag, WYCC can provide comprehensive insurance cover for yacht crew. 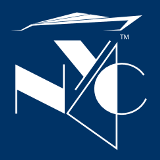 WYCC also developed the first private policy alternative to ENIM for foreign crew working in France. Seahub, the flagship product of Hunter Oceanic, is an intuitive cloud-based yacht management software designed to improve reliability and safety for the global superyacht industry. DYT is trusted in the industry as the only yacht transport company offering a fixed schedule for vessels that need to be in a particular place at a particular time. Custom carriers use the safe and convenient float-on/float-off method to make the Atlantic crossing a breeze. 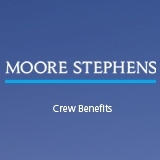 Moore Stephens Crew Benefits (MSCB) is dedicated to assisting seafarers find day-to-day financial solutions for banking services, international mortgages and foreign currency exchange. Superyacht Tenders and Toys provides invaluable advice and assistance regarding choice, specification, options, build and integration. We provide the best value and packages in the industry offering a one stop-shop for all your tender and toy needs. 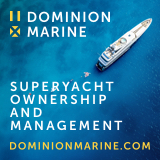 Dominion is the industry leader in superyacht ownership and management with over 30 years experience and £1bn + assets under management. 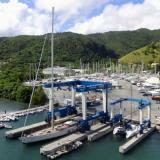 The company has expertise in VAT, yacht registration, payroll and crew management. 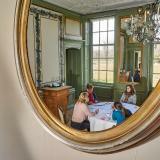 LHM provides Luxury Hospitality Training and Leadership and Management training onboard your yacht or onsite at our fabulous facility, the Waterland Estate in Amsterdam, The Netherlands. Navis Yacht Charter was founded in 1998 by a group of captains and maritime engineers with a wealth of experience - an ISO Certified and MYBA member company offering yacht charter services worldwide. Moll Vell is at the heart of Palma de Mallorca, a mere 150m from the main shopping street. 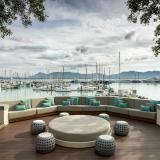 Yet guests can sit back and relax on its popular terraces with stunning views of the port. At the end of April the quays are lined with yachts for the Palma Boat Show. 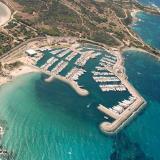 Le Marin is a premier full-service marina for yachts up to 60m. 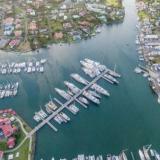 Situated in one of the most protected bays in the region, the marina is popular for provisioning, refit work and for exploring Martinique's stunning beaches. One°15 Marina will host the Singapore Yacht Show, 11-14 April 2019. 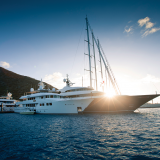 Its world-class facilities include 13 superyacht berths and private club amenities. 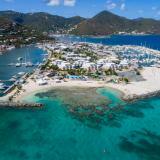 Welcome to the premier IGY marina facility for megayachts in the Caribbean! 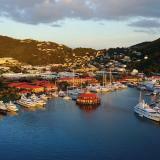 Yacht Haven Grande accommodates superyachts of up to 200m in St Thomas, US Virgin Islands. Island Gardens Deep Harbour Marina is a premier superyacht marina in Miami, located between Downtown Miami and South Beach. Custom designed for yachts up to 167m the marina also hosts Superyacht Miami during the Miami International Boat Show. Port Hercule is synonymous with Monaco. Home to the Monaco Yacht Show and one of few deep-water ports on the French Riviera, Port Hercule accommodates superyachts up to 135m. On historically hurricane-safe St Lucia, Rodney Bay Marina is a premiere superyacht destination and one of the Caribbean’s leading centres for sport fishing. The tropical island boasts nature reserves, beautiful beaches, and plenty of events to keep you entertained. For lovers of the sea and nature, Port de La Napoule has plenty to offer, a picturesque marina on the Cote d'Azur just outside Cannes, between the Esterel Massif and the woodlands of the Tanneron. Porto Montenegro offers a full homeport solution amidst spectacular cruising grounds. The prestigious marina has all the amenities one could need shoreside, with deep-water berths accommodating superyachts of up to 250m. 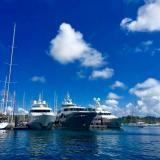 The largest marina in Tahiti is every superyacht's base for exploring the region. Its 550 berths include a dedicated superyacht dock with a fuel station, restaurants, beach access and shopping. Red Frog Beach Marina & Resort in Panama is a peaceful idyll off the beaten track. With breathtaking wildlife and scenery all around, the IGY-managed marina offers all the amenities and luxuries you could want! Villasimius marina is located in the Capo Carbonara Protected Marine Area amidst stretches of sandy beaches on Sardinia’s southeast coast. Welcoming yachts of up to 60m, the marina's harmonious relationship with the sea and its natural surroundings is unsurpassed. 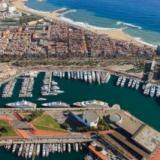 OneOcean Port Vell is a world-class home port for superyachts, located in the heart of Barcelona. One of few city-centre marinas in the world, visitors can enjoy all that Barcelona and Catalunya have to offer, with the Balearic islands just a short cruise away. 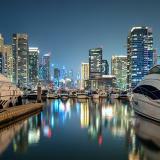 Dubai Marina Yacht Club manages five marinas stretching along the 3.5 km Jumeirah Canal in Dubai. Yachts up to 60 m LOA are accommodated under the skyscrapers of some of Dubai's most exclusive hotels. Full service marina for yachts up to 100 m LOA, located ten minutes from the international airport with immediate access to the serene, stunning coast of Phuket Island and the iconic islands of Phang Nga Bay. The newest marina in Miami caters specifically to superyachts up to 800' (244m). Guests will have complete peace of mind in this secure facility conveniently located on the MacArthur Causeway, with unparalleled access to Miami's beaches and entertainment destinations. 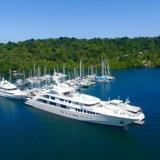 Surrounded by pristine rainforest and nestled in the peaceful, protected harbour of Golfito Bay, Golfito Superyacht Marina offers an unparalleled luxury experience. This beautifully situated full service marina, hotel, and boatyard has been welcoming vacationers for over 30 years. Repairing the damage from hurricane Irma has been a long process but by April 2019 the new inner marina will be able to accommodate 6 superyachts. Procida is an island in the Tyrrhenian Sea between Ischia (to the west) and Cape Miseno (to the east). 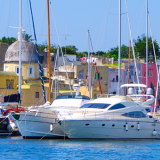 Procida is easily accessible from the mainland with numerous domestic and international flight connections from Aeroporto Napoli-Capodichino Airport 45km away. OnboardOnline is a popular platform for the yachting community worldwide - including yacht captains, yacht crew, shoreside professionals and enthusiasts around the globe. We publish a wide range of articles, yachting news, interviews and expert opinion. 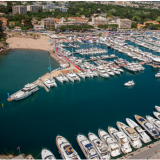 We also produce the industry's most comprehensive marina directory with local information and resources for visiting yachts, including highlights, berth bookings, security reports, local weather and visitor reviews. With years of experience in charter marketing we understand the business of chartering a yacht from provisioning and itineraries to onboard operations. We also publish a comprehensive marina directory and our data is featured onboard many of the world's finest yachts within YachtEye developed by OculusTechnologies. With growing concern to reduce our impact on the environment, we also work with a number of companies involved in the development of new technologies, and give editorial support to several organizations dedicated to the protection of the world's oceans. We also encourage interaction between our readers and contributors via our in-site messaging. You can comment on articles and leave reviews for marinas you have visited. All you have to do is register or login. For yachting businesses relevant to our audience we specialize in content marketing to build brand awareness among decision makers in the yachting sector. Our focus is on quality editorial as this is the most effective way to engage with potential customers at every stage of the buying cycle. We can produce editorial content for you and/or publish content that you provide. Having a significant audience and a broad reach across the yachting sector, we can promote this content to the right people in the right ways to achieve tangible results. OnboardOnline's team is also hot on ideas and originality! 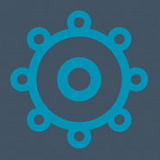 We created many of the tools that are now industry standard and we continue to connect our clients with potential customers in original ways. For further information please view our products and services. As part of a campaign you can also send us your press releases for publication in Yachting News a popular page where we publish news and stories of interest to our readers as they happen. OnboardOnline has a significant readership averaging 35,000 - 45,000 visits each month. We also have a strong following on social media and 32,000 subscribers to our monthly newsletter. Approximately half of our audience consists of captains and seniour crew, and the other half is made up of shoreside professionals including decision makers and those with purchasing power.